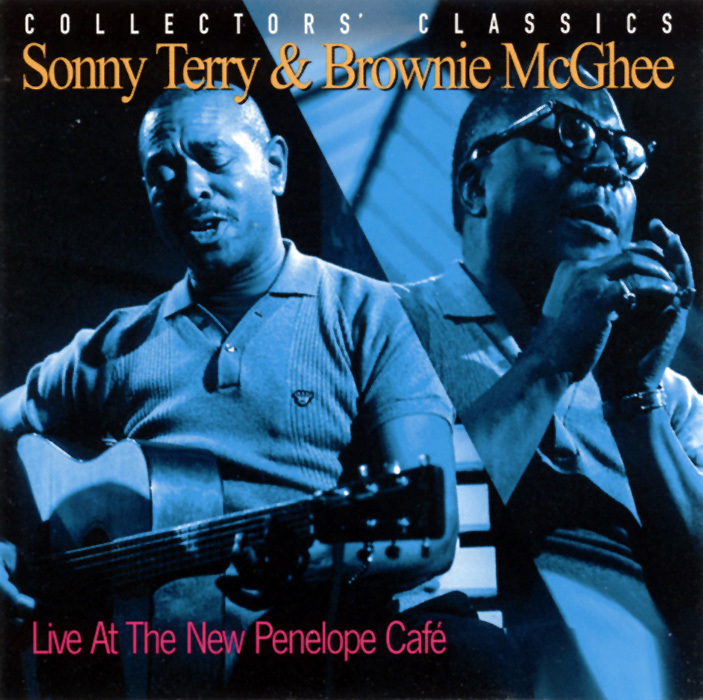 It sometimes seems like there are about 90 live albums by Sonny Terry and Brownie McGhee, all from the 1960s. This one, taped at a show in Montreal in 1967, stands out from the rest because the duo are in unusually lively form, and its having been recorded in a more raw than usual manner. As with other releases in this Canadian-taped series by Michael Nerenberg, it's possible that the duo weren't even thinking about the fact that they were being recorded, and so were less stiff and formal than they could sometimes sound playing in front of white collegiate audiences. The result is a record a bit louder and noisier, but also more exciting than most of their other live albums -- the voices mesh together a bit rougher and more honestly than they do on some of their other live releases. The sound is clean mono, with the audience present but not overly obtrusive, and the repertory includes "Cornbread, Peas and Black Molasses," "Sportin' Life," "Easy Rider," "Pack It Up and Go," "Hooray Hooray (These Women Is Killing Me)," Champion Jack Dupree's "Under Your Hood," and a medley of stuff like the Broonzy/Segar "Key to the Highway" and Leroy Carr's "In the Evening."